The entire Uftring Auto Group is proud to be a sponsor of the Inaugural Hustle for Hydrops 5K, 12K and 1 Mile Fun Run on Saturday, November 16, 2013 at Five Points Washington in Washington, IL. 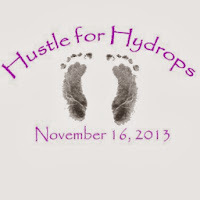 The Inaugural Hustle for Hydrops event was created to celebrate the life of Izabel Grace and to raise money to benefit research for Hydrops fetalis. The Uftring Auto Group supports the Hustle for Hydrops organization and is happy to help fund such an important community event right here in Central Illinois. Hydrops fetalis, or Hydrops, is a condition that occurs when large amounts of fluid build up in a baby’s tissues and organs causing extreme swelling. Non-immune hydrops occurs in approximately 1 in every 1,000 births; about half of unborn babies with Hydrops do not survive. Further advanced research is needed to find a cure, and Hustle for Hydrops is a step in the right direction to help provide funding for research. Hustle for Hydrops 5K, 12K and 1 Mile Fun Run is next Saturday, November 16. The 5K and 12K begin at 8 a.m., and the 1 Mile Fun Run starts at 9:30 a.m. The race route begins and ends at Five Points Washington. Click here to view the race route, and click here to register for the event. We need your participation to help end Hydrops. Running Central in Peoria Heights, November 15 from 10 a.m. to 7 p.m.
Five Points in Washington, November 16 from 7 a.m. to 7:55 a.m. for 5K and 12K runners, and 7 a.m. to 9:15 a.m. for 1 mile runners.